2nd Tuesday, Dinner meeting at Dobie's Steak House, 4136 So. KK Ave, St. Francis, WI 4th Tuesday, Business Meeting at St. Francis Lions Center, 3476 E. Howard Ave, St. Francis, WI. The Saint Francis Lions Club was chartered in 1970 through the efforts of its charter members. The Lions Club works closely with numerous local organizations to support various projects and events in the community. Our members are active participants in the support of the following organizations and events. 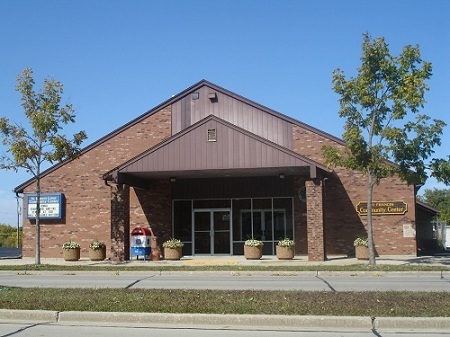 The Saint Francis Lions Club and Lions Center is located one block west of Packard Ave at 3476 Howard Ave, Saint Francis, WI. The Saint Francis Lions Center offers bingo every Wednesday & Friday night. Click on the Lions Bingo tab for a detailed list of times and activities. If you need a banquet hall for an event consider the Saint Francis Lions Center. Click on the Saint Francis Lions Center tab for more information on our banquet hall rental and catering options. Friend the Saint Francis Lions Center on facebook to stay updated with the Centers events.